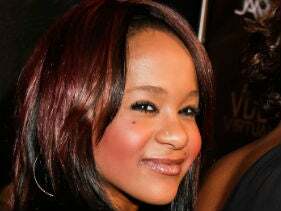 Bobbi Kristina Brown, the daughter of the late Whitney Houston, might be making good on her dream to become an actress. The 19-year-old has been cast in Tyler Perry's TBS sitcom For Better or Worse as the child of a hairstylist, according to Straight From the A. The hit series, which was recently picked up for a second season, resumes the roles of Marcus and Angela (played by Tasha Smith and Michael Jai White) from Perry’s motion picture "Why Did I Get Married." During her exclusive interview with Oprah Winfrey Brown revealed plans of carrying on the late icon’s legacy. "I have to carry on the legacy," she said. "We're gonna do the singing thing. Some acting, some dancing … It's a lot of pressure, but she prepared me for it." For Better or Worse hits the small screen this summer, and it's heartwarming to see Brown moving forward. It's a fair assessment to say that a bit of black folks' hope is wrapped up in Houston's only child and her well-being.